Often flicks released later in the year wait until after the Academy Awards to put out Blu-ray and DVD releases and this year is no exception. However, this week’s Oscar-winning release, Life of Pi has sort-of been overshadowed by a bunch of re-releases from companies as varied as Disney, 20th Century Fox, Paramount. There should be a little something out there for everyone this week. Read on to learn about some of this week’s best releases, and maybe even a few that slipped under your radar. Rise of the Guardians is probably more known for incurring layoffs at DreamWorks at this point than for the film itself, which is a bit of a shame. 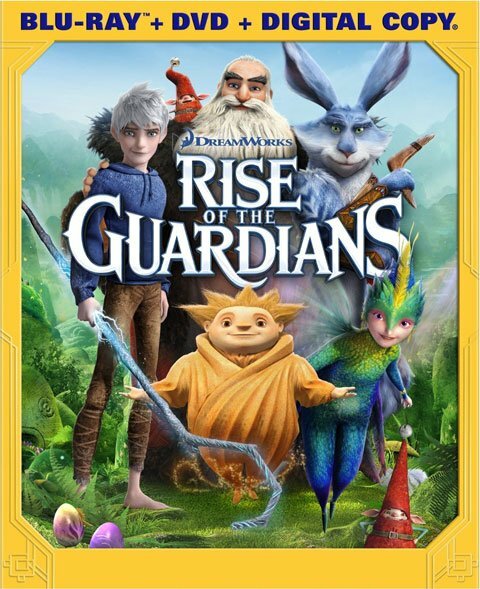 While Rise of the Guardians’ story doesn’t stand up so well when compared to successful DreamWorks movies like How to Train Your Dragon, the film is visually enchanting and offers enough likeable characters to invest audiences. The film follows Jack Frost (Chris Pine) and a slew of memorable holiday characters, including an Eastern European Santa (Alec Baldwin) and a spirited but grumpy Easter Bunny (Hugh Jackman), all fighting against the bad dreams and ill will brought by Pitch (Jude Law), who is one of the more unbelievable characters in the film. In many ways, Rise of the Guardians may not have enchanted audiences, thanks to focusing on the characters more than an energetic story, but as a whole, the film has more bright moments than boring ones. Best Special Feature: Blu-ray copies of the film offer far more extras than the DVD option, including the two extras I childishly had the most fun with--the two hopping egg toys, which are windable and fun for kids of all ages. That’s an extra, but not exactly a disc bonus feature, so let’s talk about the best feature the disc has to offer. The “Behind the Magic” feature may not be the most fun for kids, but for adults into animation, it’s an extensive set of bonus segments that offer interviews with the crew, but also plenty of the original drawn artwork the crew worked off of to create the complex animation in the film. DreamWorks always has a lot going on in any given scene, and Rise of the Guardians is no exception. During this segment the animation and personalities of the characters are also discussed and so much more. Plan to distract your kids with the hopping egg toys while you give it a shot. 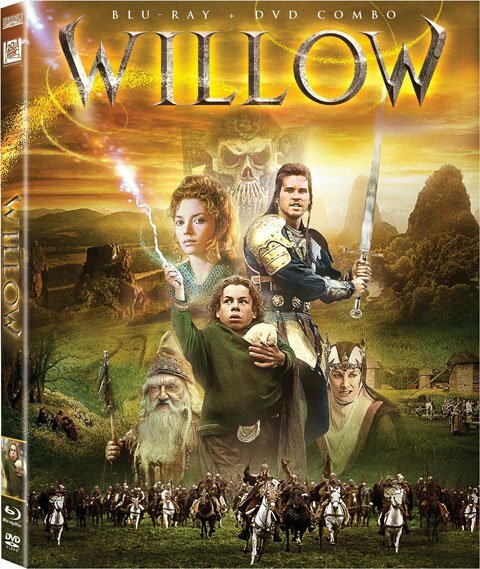 Fans of Willow know what they are getting as far as story goes with the film. The action sequences and special effects were cutting edge at the time but in some instances look dated to modern eyes, and the tale is very reminiscent of the action narratives we’ve come to know and love. For many, Willow has become a classic film in the Lucasfilm canon and the 25th Anniversary Blu-ray lives up to the potential of the release. Directed by Ron Howard, Willow tells the tale of a young Nelwyn (Warwick Davis) who takes on the care of a baby, who turns out to be a child of prophecy sent to defeat an evil queen. Willow ends up going on an adventure to save the life of the young child, encountering foes and friends, and a variety of interesting creatures along the way. The 25th Anniversary release is the first time the film has been available on Blu-ray and from the menu page to the actual footage of the film, this release may have finally done the movie some justice. Fans who are expecting Willow’s color and filming to look as perfect as something like Avatar when restored may be disappointed, but as far as the restoration work goes, the picture looks crisp and rarely grainy, which is a feat. Best Special Feature: Some of the extras on the Willow Blu-ray are repeats of extras available with the 2003 DVD special edition set. However, new to the set are deleted scenes with introductions from Ron Howard, as well as behind-the-scenes shots. These behind-the-scenes segments are excellent both because Howard speaks eloquently about the project and where he and George Lucas wanted to go with the sword and sorcery tale, but also because Howard is rocking one of the greatest mustaches of all time in the eighties footage. Most of the deleted scenes are pretty short, but the stuff from Ron Howard is excellent and he even addresses a few of the continuity errors fans have called him out for over the years. I could listen to Howard talk all day, but even if that isn’t your cup of tea, there is enough interesting footage and information in these deleted scenes to make them worth watching. The Cirque du Soleil movies, like the live shows, have always been about presenting a fantastical reality with echoes of the everyday world. Years ago, the shows found a strong niche in IMAX theaters, oftentimes in museums. Growing up, I found them to be magical and imaginative, capturing a unique on-film world that was stranger than any novel, and Cirque du Soleil: Worlds Away capably captured that same sort of magic. Cirque du Soleil: Worlds Away was conceived as a 3D film and looks great on the big screen in that medium. 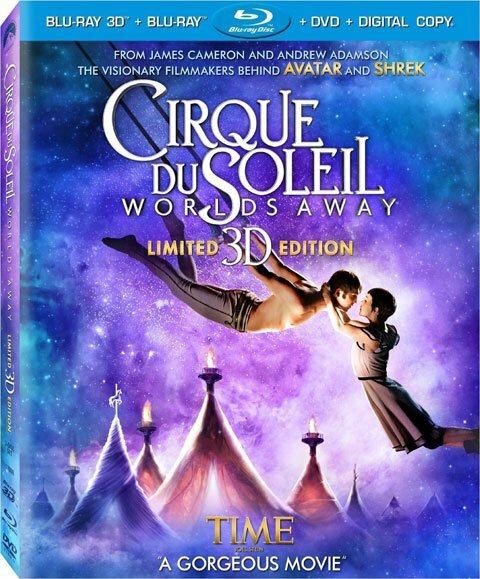 On regular Blu-ray and in HD the colorful circus atmosphere and finesse of the performers within the show still pop, but if you do get a chance to catch the film in 3D, that was the medium that was intended for the flick. The story offers a meet-cute between a girl named Mia and a performer known as the Aerialist. A strange vortex opens in the floor, sucking the two characters in and offering a chance for audiences to get up close and personal with the worlds offered by the Las Vegas Cirque shows, including Love, O, and Zumanity. Best Special Feature: There are only a few bonus features with the Worlds Away set. The coolest is “A Day in the Life with Erica Linz,” a segment that explores the making of a Cirque du Soleil routine in all of its intricacies. Both Erica and her work partners go through grueling practice to get certain tricks down and then must order them in a manner that comes across as pleasing and pertinent to the story during shows. The performers seem to do a lot of choreographing on their own and the freedom and responsibility related to the job is highlighted. 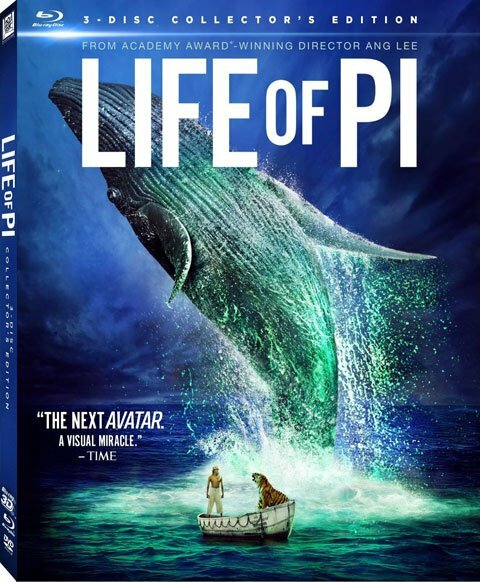 The big Academy Award-winning release this week is Life of Pi, the tale of a boy who spends a lengthy period of time living at sea in a lifeboat shared with a tiger. Ang Lee’s directorial effort is stunning and will be available for purchase in 3D format, as well as Blu-ray and DVD. Also up this week is the restored version of 1949’s Samson and Delilah and a slew of TV content. Clearly Rise of the Guardians and Life of Pi are this week’s biggest releases, but there are more than a few gems out this week beyond the two titles, for fans into more niche genres and television, alike. Beyond the big releases, this week is also a big one for re-releases. Who Framed Roger Rabbit, like Willow, is turning 25 and getting a Blu-ray release to boot. Additionally, Disney favorites Mulan and The Hunchback of Notre Dame will be available on Blu-ray in two-movie combo packs also featuring Disney’s less likeable sequels to both movies. You can read more about this week’s releases, below.